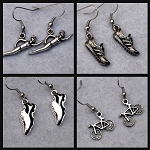 The Run Home's Pewter RUNNING SHOE EARRINGS are a great way to recognize the love of your sport! These light weight earrings are made with hypo-allergenic silver plate French Ear wire with a 1.2mm ball. 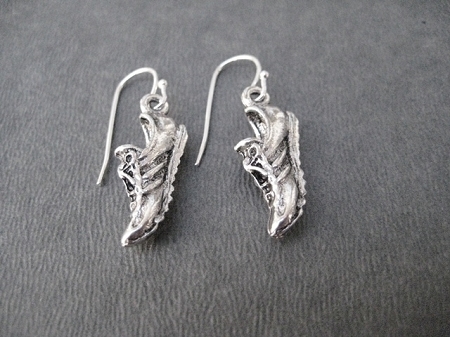 Pewter Running Shoe measures 3/4 inch long. Sterling Silver French Ear wire available for Sensitive Ears. Sterling Silver French Ear wire is an additional $7.